Trick or Treat — Lean Machine Metal Fabrication Inc.
Last year at this time we did a popular pumpkin carving on our Haas mill. This year, one of our engineering personnel, Adam Evans, decided we should do a similar project to make use of our aluminum robotic welding cell. Adam used Autodesk Inventor to draw the shape. The shape was sent to MasterCam, where we converted the shape into a set of instructions that a machine can understand. 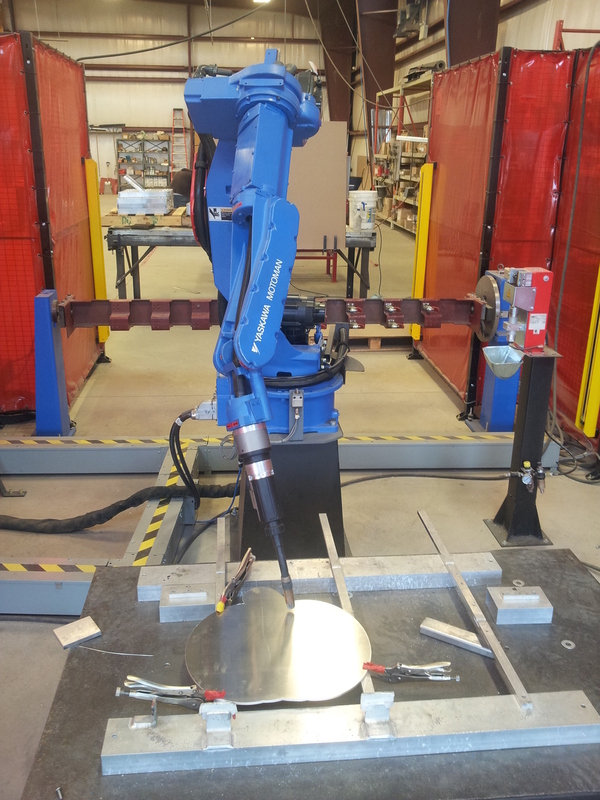 The instructions were sent to our Motoman robot where they were used to weld the shape on a sheet of aluminum. Happy Halloween!